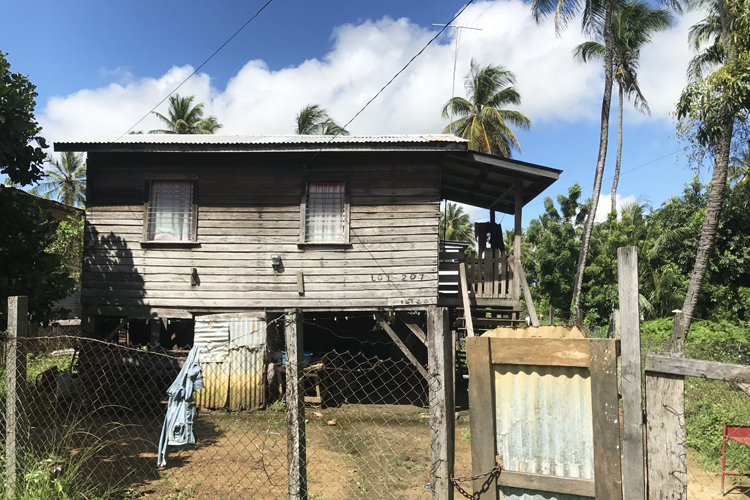 While in the ministry here in Guyana, we have a lot of opportunity to see the local houses and yards. 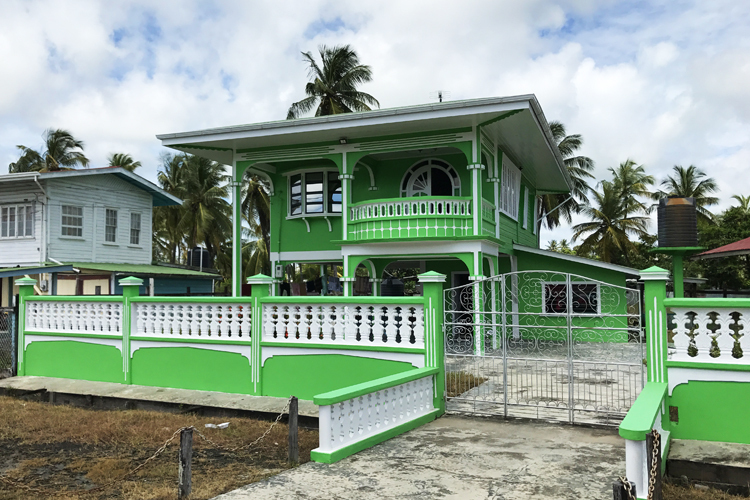 One of my favorite things to do is to dream up my ideal Guyanese home from all my favorite bits that I’ve seen. 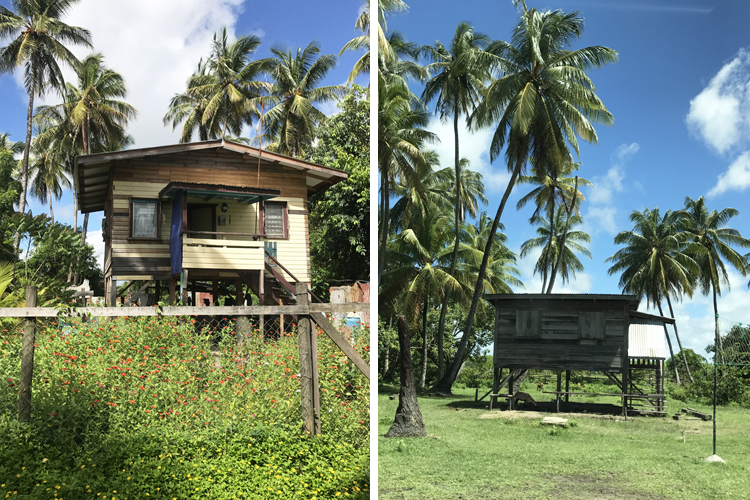 It is also interesting to learn what these homes teach us about the different ways people live. 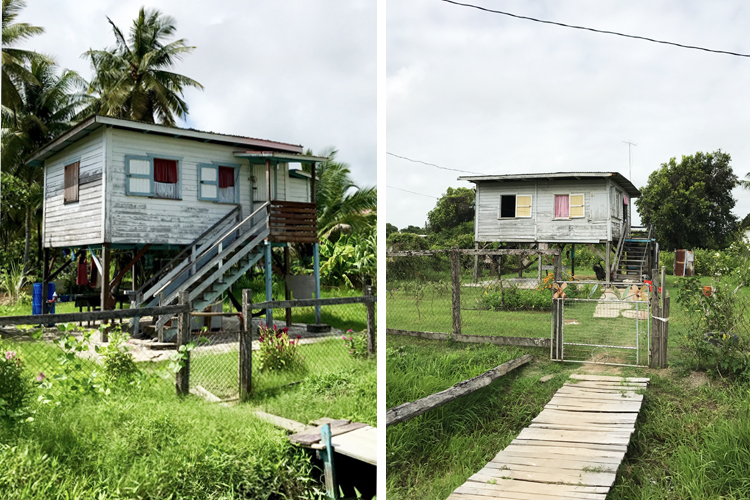 Some houses in our territory are small, one-room wooden structures on stilts. Many of these will have an outside kitchen downstairs, and an outside shower and toilet. Some do not have electricity. 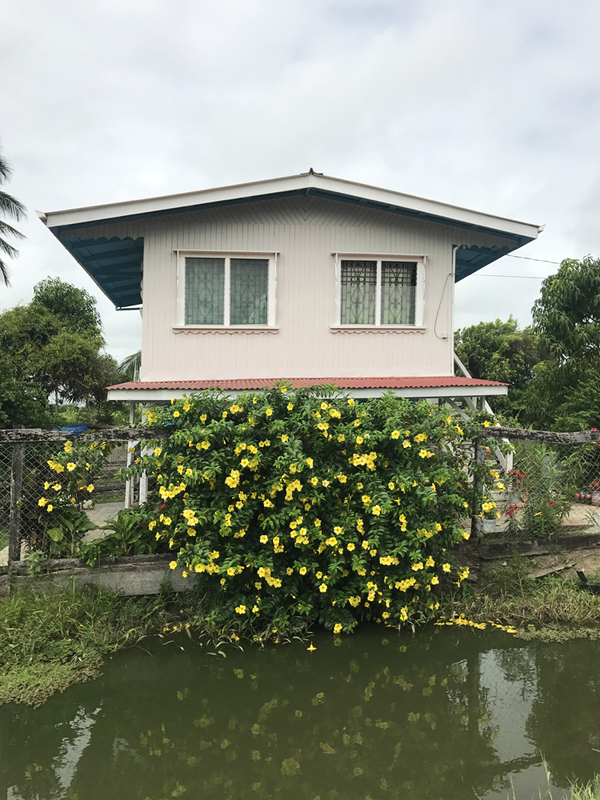 Sometimes this is the first house that is built on a property and when the homeowners save more money, they build a larger house on the same spot. 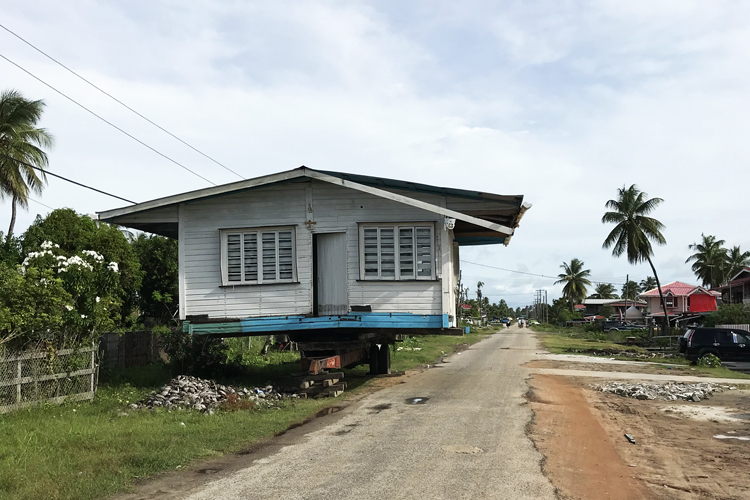 Many people ask why the houses are built on stilts. It is not for flooding as you may think, although the ground can get very muddy when it rains. It is really to create a dry, shady spot. 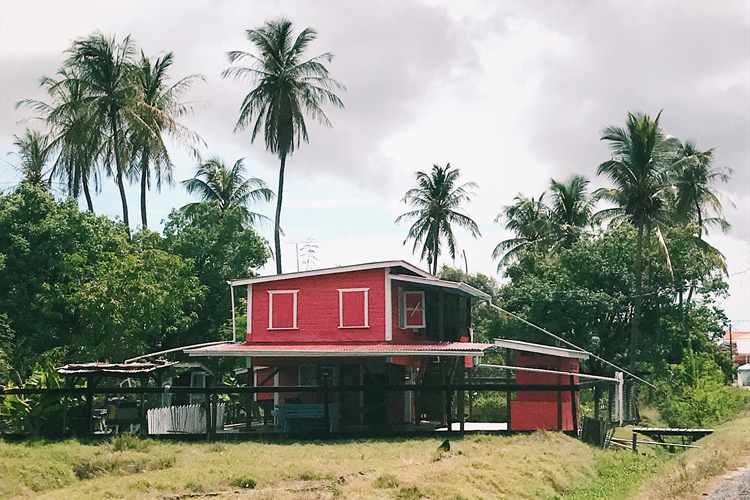 People will hang a hammock under the house and the whole family will spend the day there because it is generally cooler and breezier than being inside the house. It’s also a spot to hang the laundry when it rains. 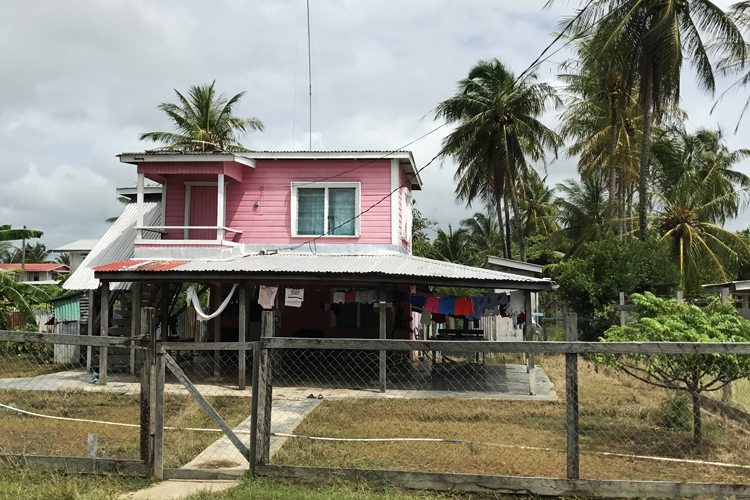 There is a lot of new construction in Guyana as well. 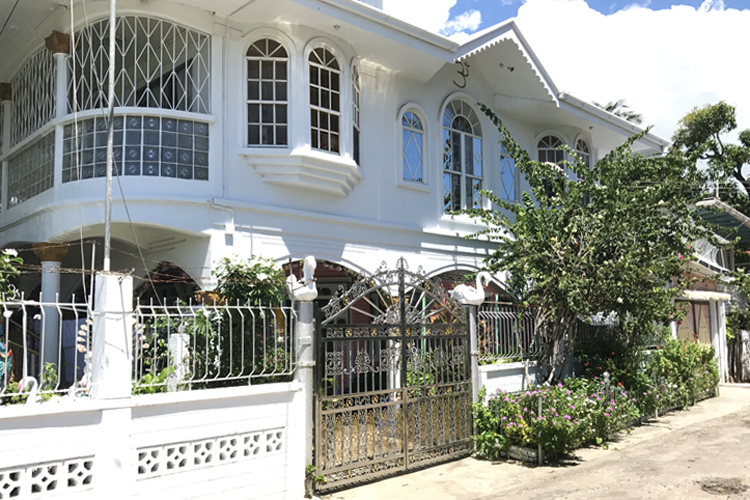 Many of these homes are quite lavish with a lot of stone work or fancy steel fences and bright color. 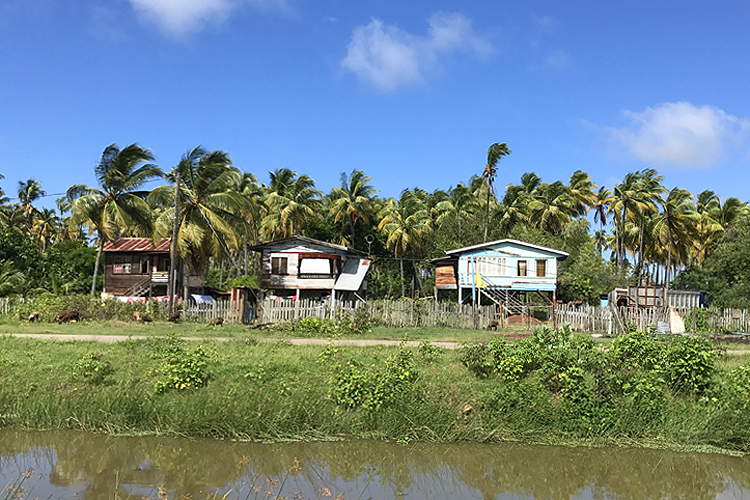 A lot of times, these giant new homes are right next door to the smallest of shacks. 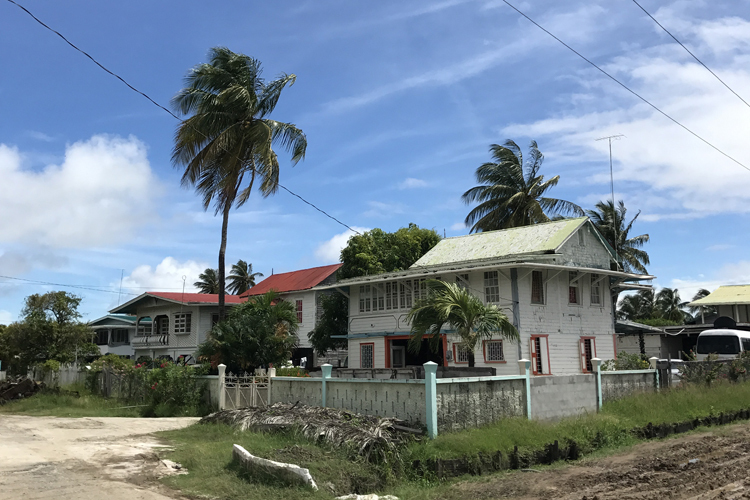 Some of these homes are vacant as many Guyanese who have emigrated to the States or other countries will build houses as an investment and a place to retire to one day. 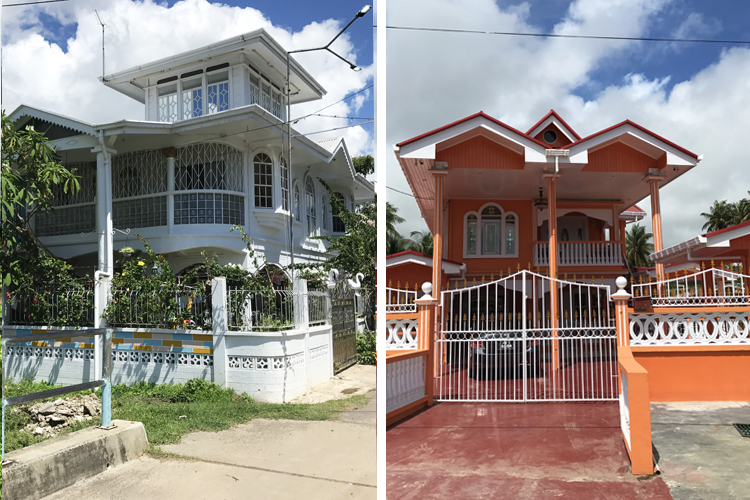 Of course, in the middle of these two extremes are the modest family homes. Some of these started as one-room houses and have been added on to room by room over the years. The cost to buy or build a house is approximately 30,000 US, including land, although many receive land from family. Interestingly, often a house and the land are sold separately, so it’s not unusual to see a for sale sign on a house and realize that it’s only the house that is for sale. It is common to move houses to new property. In fact, one of the brothers in our hall does this for work. 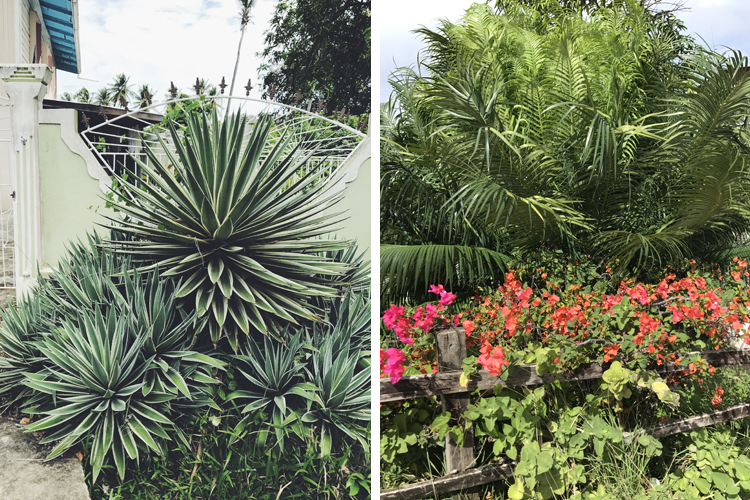 And of course some of the houses have beautiful gardens with tropical flowers, bushes, and palms. I am always surprised that some of the plants we have as houseplants back in the States, grow as enormous bushes here! One thing of note too is the trenches, small water-filled ditches which run along the streets. 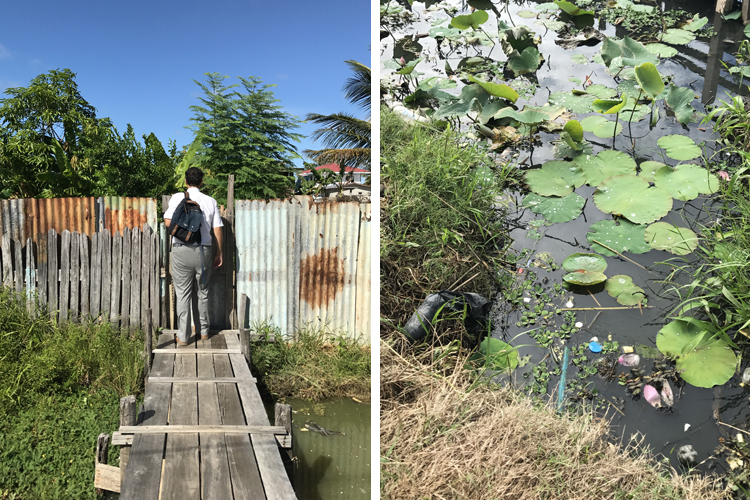 In the 1800’s, African slaves of Dutch settlers built this network of canals and sluices to drain water from sugar estates. (More history here.) This system is still in place and used to collect runoff from showers and such (greywater). 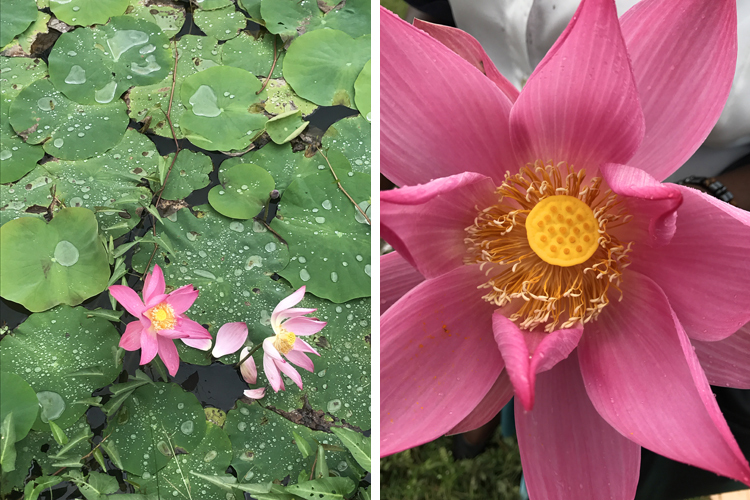 Unfortunately, people throw a lot of trash in the trenches so they’re not always the cleanest but they do sometimes have beautiful lily pads and lotus flowers. 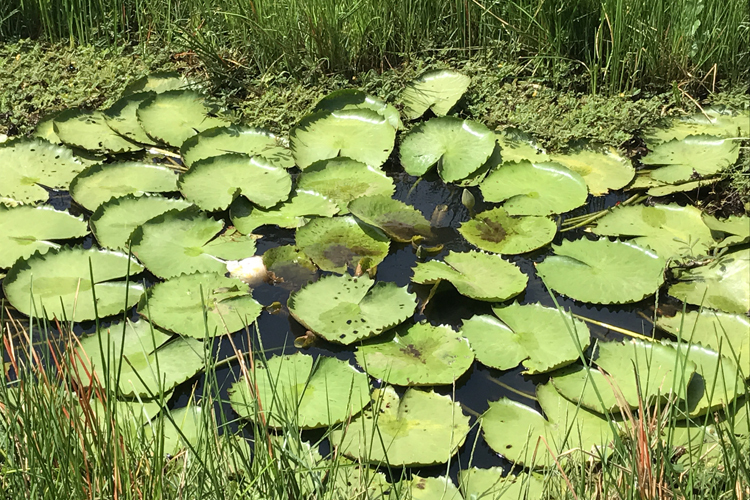 Often you will have to cross a cement or wooden bridge to get to a house. 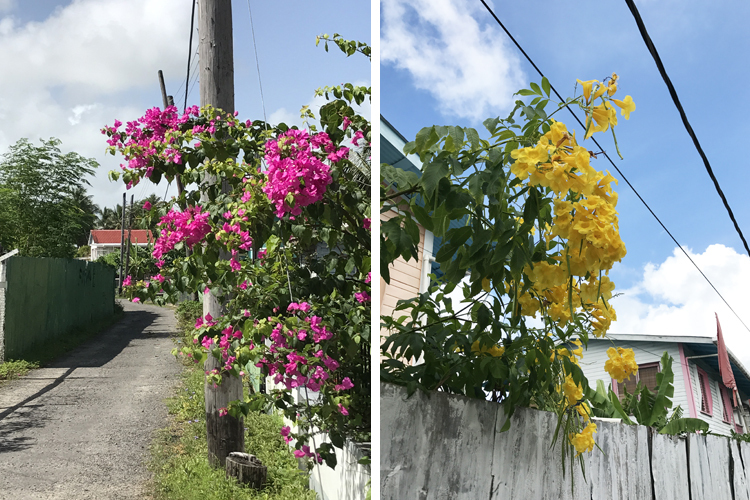 We love experiencing the variety of houses and flowers here in Guyana. Every day in the ministry is not only rewarding for the response from the householders, but also for all the treats for the eyes as well! Thank you for the interesting and educational post! Wonderful pictures and descriptions, Sarah. You sent a beautiful and informative travelogue. I’m so glad you got to experience all that.